Woke, webhead and wibbly. All added to the Oxford English Dictionary this year. We wonder how much they will mean to people in 10, 20 or even 30 years’ time? Some additions are throwaway, but some impact the way we talk, work and exist for decades - or longer. Arguably, installation art has existed pre-history but in 1969, ‘installation’ as a nomenclature for a specific type of art, focusing on concept over form, was added to the Oxford English Dictionary and by the late 1980s, interactive installations were commonplace. Corniela Parker’s ‘Cold Dark Matter’ is both impressive and oppressive - the restored three-dimensional volume and contents of a garden shed exploded by the British Army at the request of the artist. 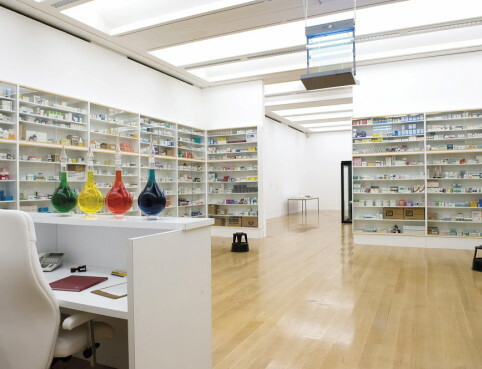 In 1992 Damien Hirst remodelled the human body in the form of a Pharmacy, which was initially shown at the Cohen Gallery, New York, opened as a restaurant in Notting Hill in 1998 (having to change its name when the Royal Pharmaceutical Society of Great Britain launched a complaint, saying that its name and the pill bottles on display could confuse people looking for a real pharmacy), and now exists as Pharmacy2, a restaurant in Newport Street Gallery – a collaboration between Damien Hirst and Mark Hix. Playful and colourful, just how we like it. So, it’s no surprise that we were excited to hear about the launch of WALALA x PLAY, an interactive abstract installation and immersive maze at NOW Gallery in London’s Greenwich. 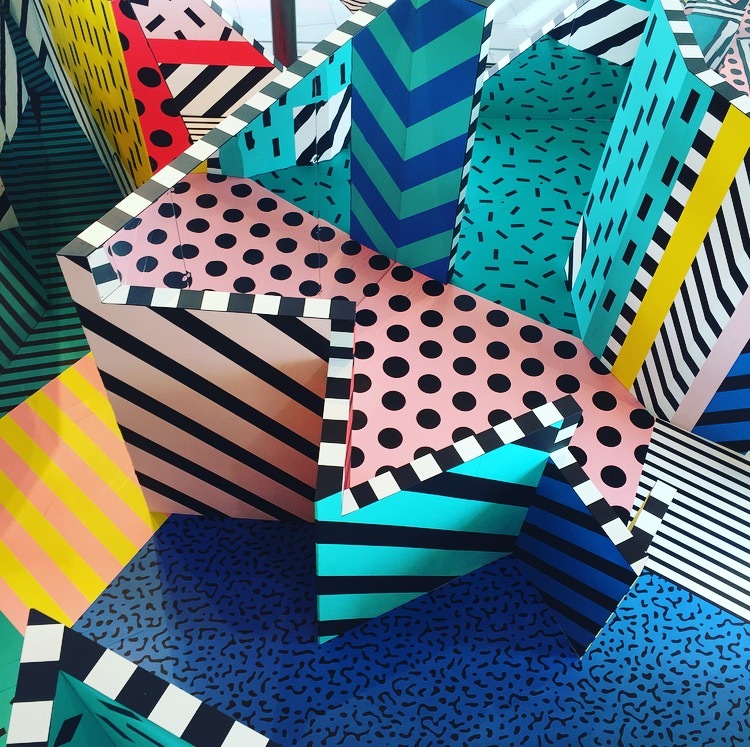 The work of Camille Walala – who we know best for brightening up the streets and pop ups of London, New York, Sydney and Mexico – WALALA X PLAY welcomes visitors to explore, examine and enjoy a labyrinthine network of corridors and enclosed spaces in a ‘temple of wonder’. A key part of this installation is an imaginative puzzle which invites the solver to identify the inconsistencies between two otherwise identical images. WALALA x PLAY brings this concept off the page and into three- dimensional space, inviting visitors to linger and explore colour, shape and scale, contemplating formidable pattern to find the differences. The show has proven so popular that bookings are required on weekends and time inside the maze limited to 15 mins – however, we managed to pop in mid-week for a longer linger. It’s a great show. Physically, it doesn’t cover a lot of ground – though it fills NOW's boutique space – but Walala’s maze feels bigger than its footprint, it’s colourful, captivating, confusing at points, and turning the same corner for a second time, you find something you didn’t spot the first. It’s impossible to walk out of the door feeling anything but happy – and if the sun is shining outside as well as in, Walala has also produced bespoke ping pong tables for the gallery, located in Peninsula gardens. So, grab a bat and ball from reception and PLAY. WALALA X PLAY, will be available for visitors to view for free from 14th July – 24th September 2017.